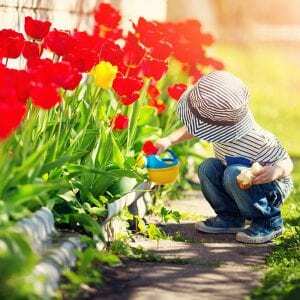 You can become an egg donor and provide a remarkable gift that can bring hope for a family to people who are having difficulty achieving parenthood. Atlantic Reproductive in Raleigh, NC specializes in fertility testing, treatment (IVF, etc.) and third-party reproduction — and we greatly appreciate your interest in becoming an egg donor. We are dedicated to building families together and are looking forward to working with you! Interested in becoming an egg donor with Atlantic Reproductive? The female egg donation process begins with a medical, psychological, genetic, and infectious disease screening process. 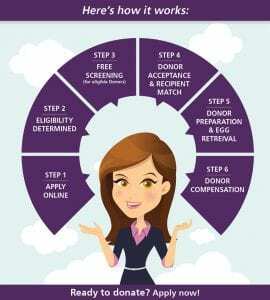 If the screening reveals that you are eligible to become an egg donor, you will very likely be matched with a waiting intended parent. Once matched, the first step in the process of donating eggs is to synchronize your cycle with the recipient’s cycle using birth control pills. Once you are synchronized, you will stop the birth control pill and start taking fertility medications, which are given by injection. After you start taking fertility medications, you will be monitored with ultrasounds and blood tests every one to three days for approximately four visits to help us adjust your fertility medications and plan your egg retrieval. Once the eggs are ready for retrieval, you will receive specific instructions to take a final injection that will mature your eggs so they can be retrieved. The timing of this injection is critical and it is important that you set an alarm or have some reliable way to remind you to do it as instructed. If for any reason you have a problem completing the final injection at the correct time, it is important that you contact our on-call staff immediately. The timing of your final injection will determine the arrival time for your egg retrieval procedure. Egg retrievals typically take about 10-15 minutes. You will be sedated and closely monitored during and after the procedure. You will remain at the fertility center for approximately two hours on the day of your retrieval. After being sedated, your reflexes and judgment will be impaired, so a responsible adult must come with you to this appointment to provide you a safe ride home. Complications from an oocyte retrieval are very rare. However infection, bleeding, injury to internal structures, blood clots, ovarian hyperstimulation, and complications from anesthesia are possible. You should feel better each day after your retrieval and should call or come in for an evaluation if you have any concerns or problems. After participating in the egg donor program, you will be financially compensated. We expect that your next menstrual period should come approximately two weeks after retrieval. You need to be very careful not to conceive during the month that you donate eggs because we may not retrieve every egg and you could get pregnant. If you conceive during a donation cycle, you will be at a high risk for conceiving more than one baby. Abstinence around the time of retrieval is the safest approach and most comfortable to your ovaries. 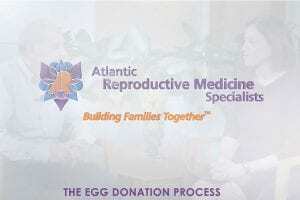 To learn more about egg donations, contact Atlantic Reproductive today. We proudly serve patients throughout Raleigh, Cary, Durham, Chapel Hill, Fayetteville and beyond. Shared Beginnings is a unique program that uses donor eggs and partner sperm to create your embryos at a price that seems too good to be true… and it comes with a guarantee.